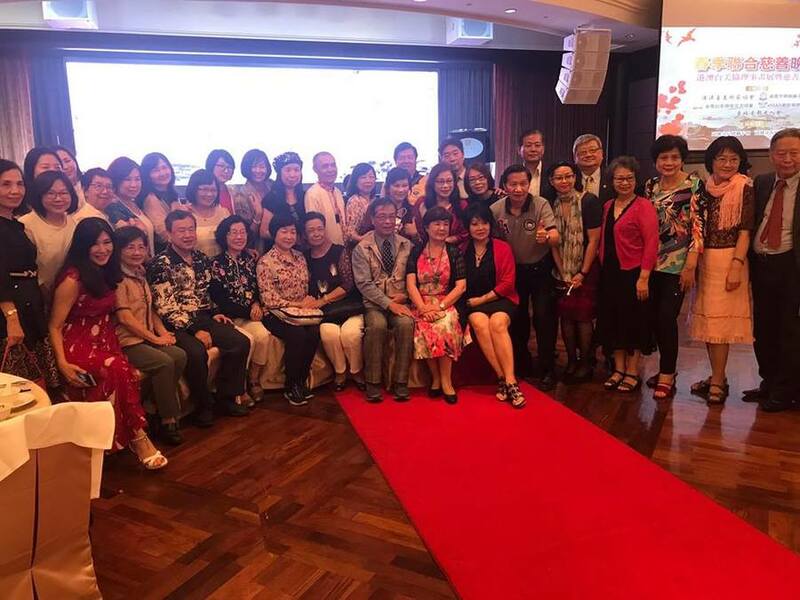 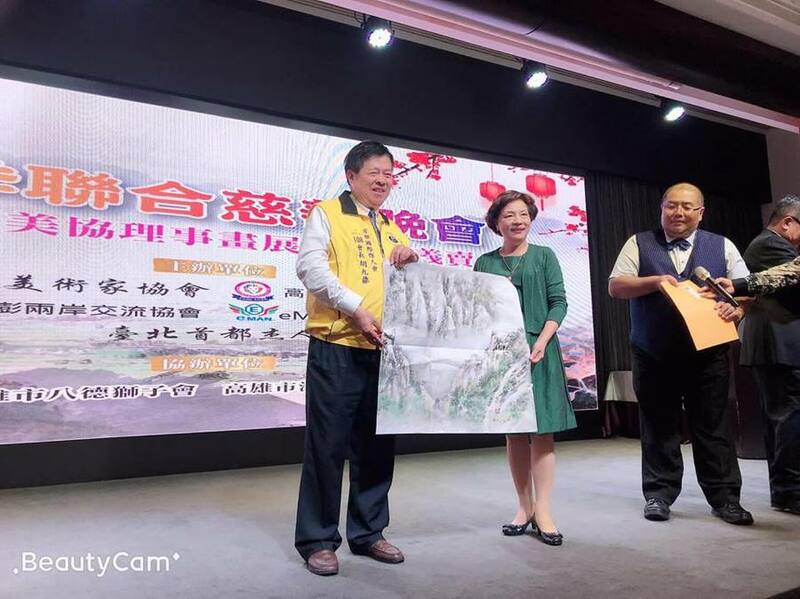 Spring Charity Gala “Hong Kong / Macao / Taiwan Association of Artists Exhibition and Charity Sale” was held at the Ambassador Hotel in Kaohsiung yesterday (08 April). 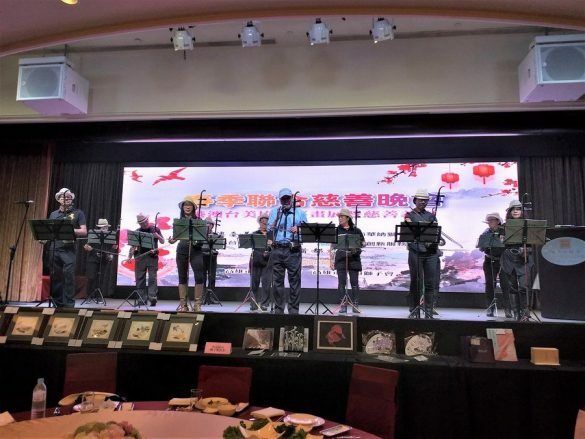 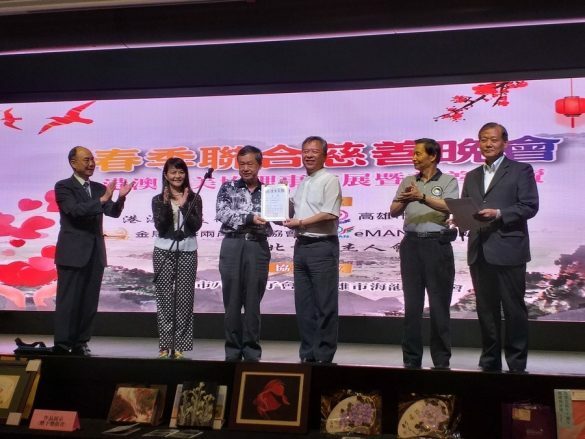 The event was organized by the Hong Kong / Macao / Taiwan Artists Association, The Kinmen/ Matsu/ Taiwan /Penghu Cross-Strait Exchange Association, and the eMAN Innovation Service Alliance. 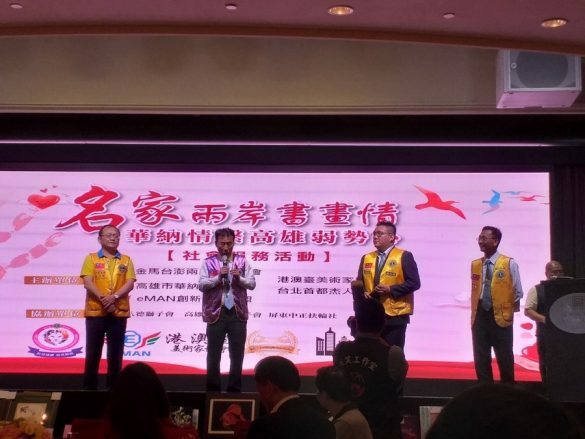 The International Lions Club 300E1 Warner Lions Club and the Taipei Capital Distinguished Citizens Society International jointly hoste, the Hong Kong /Macao /Taiwan Association Taiwan Chairman Lee Wou Yuan lead more than 50 members from Taipei to Kaohsiung to participate in the donation of nearly 70 works with the members for charity sales and sweepstakes, nearly one hundred and eighty people attended the party. 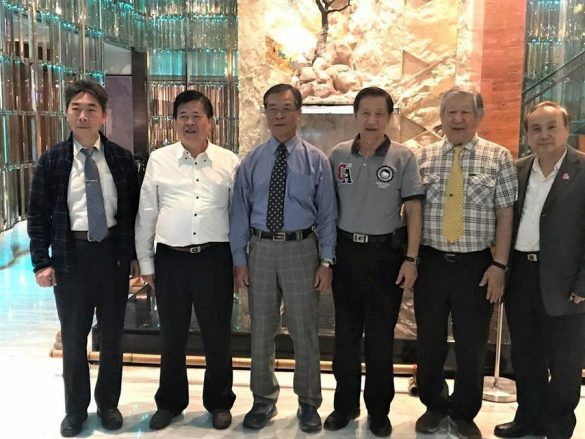 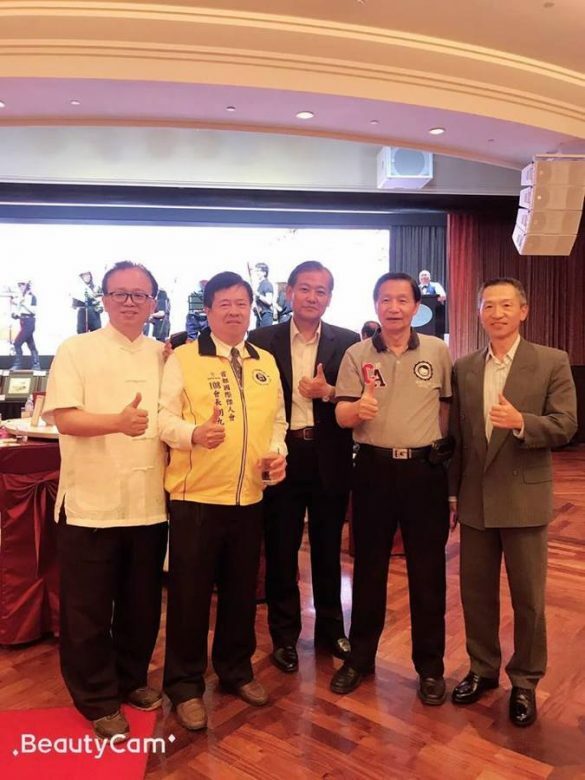 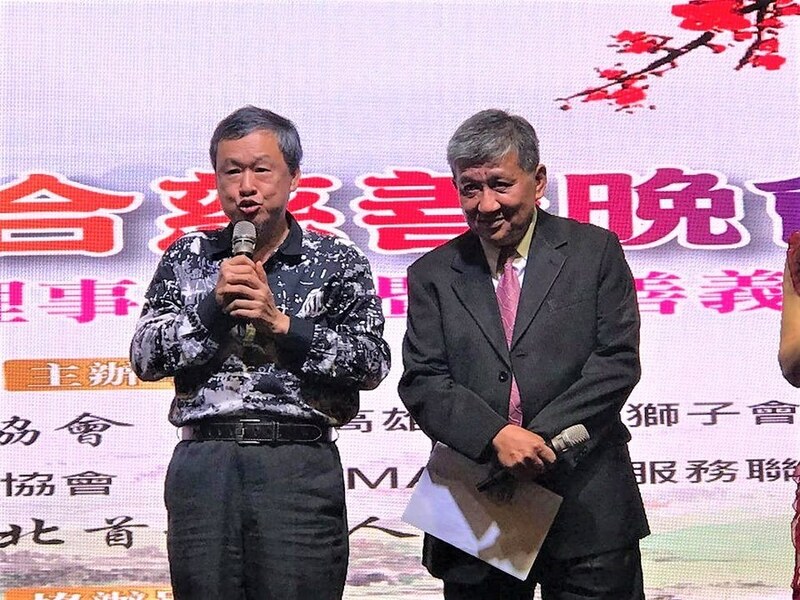 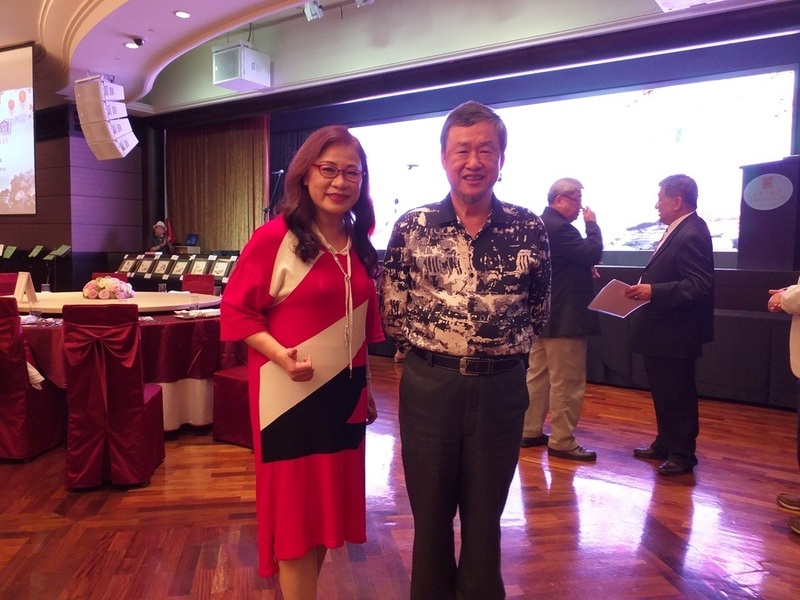 “The Hong Kong /Macao /Taiwan Association of Artists Exhibition and Charity Sale” was hosted by Lee Jung-soo, Executive Chairman of the Kinmen / Matsu / Taiwan / Penghu Cross-Strait Exchange Association. 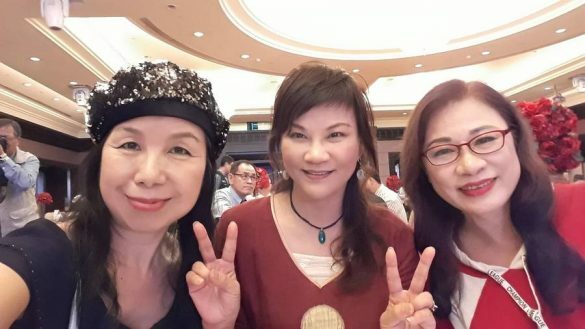 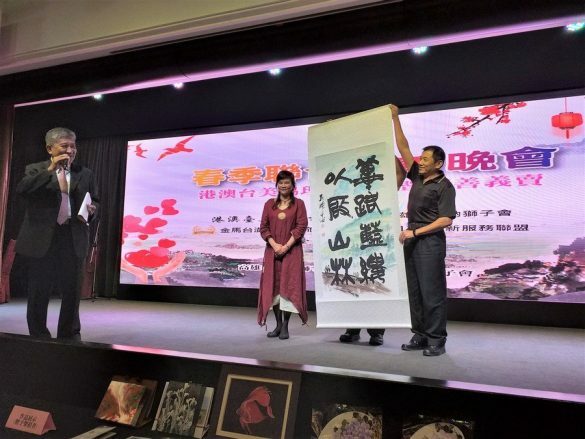 The party invited Taiwanese ink painter Tien Chin-sheng to be the consultant of the Hong Kong / Macao / Taiwan Artists Association of Taiwan, and Member Chen Lizhen speech on behalf of Kaohsiung City Mayor Daniel Han. The evening party also displayed the works of〝Art of Hk.M.T.SD in the same boat〞the invited artists of Taiwan, Hong Kong/ Macao / Taiwan /Shandong invited by the Hong Kong Central Library in January this year. The vice president of the Cross-Strait Peace Alliance, Lu Chaoxing, and the assistant director Gao Ningsong, the director Fu Xiaoqin, Chen Ruohui, President of the Taipei Capital Distinguished Citizens Society Hu Jiuding, Chairman of the Taipei Beauty Health Exchange Association Xiao Caizhen, Life Fighter Painter Ye Lingxiu, Cheng Xiuzhen, Chen Yaoxuan, Yu Jianhua, Wang Suzhen, Chen Bihua, Lin Yunying, Zhang Shaotang, Lu Meishu, Jenny Shih and others attended.